Have some Torrent videos or movies downloaded from the top Torrent movie sites and wish to convert the Torrent video to MP3 audio so that you can burn to a CD or offline playback on iPod, iPhone, iPad, Android Phone/tablet or other portable music players. As a matter of fact, what you need is simple a Torrent video to MP3 converter. If you are looking for a free, simple yet workable solution to get the job done, we highly recommend Pavtube Free Video DVD Converter Ultimate to you. With the program, you can easily extract MP3 audio from downloaded Torrent movies with various different file formats like MP4, MKV, AVI, WMV, MOV, etc. Besides that, you can also choose to save Torrent video to other audio formats such as WAV, M4A, OGG, WMA, AAC, SUN AU, AIFF, MP2, FLAC, MKV according to your specific needs. For those people who wish to pass through the 5.1 surround sound in original Torrent movies, you can use the program to output Torrent video to Dolby Digital AC3 format with the 5.1 surround sound well preserved. This free Torrent video to MP3 Converter is quite simple to use, all the workspace is intuitively designed and all the most common tools are found on the main screen. Unlike other lower quality free conversion tools online, the program is very clean and safe, you won’t be tricked to install any adware or spyware. In addition, the results create by the program are pretty high quality, you can’t tell the difference between the converted video and the original source video. 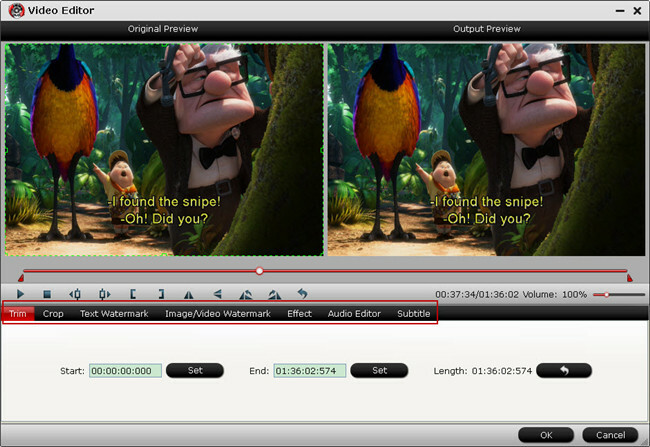 If you only want to extract one of your desired audio clip from the Torrent video, you can directly use the trim function offered by the program to leave only your unwanted segments by settings the start and ending time. You can also use the merge function to join the extracted MP3 audio tracks in different Torrent video into one with the correct order. What’s more, if you don’t satisfy with output audio quality, just feel free to adjust the audio profile parameters like audio codec, bit rate, sample rate, channels, etc in the programs “Profile Settings” window. How to Free Convert Torrent Video to MP3 with Pavtube Free Video DVD Converter Ultimate? Step 1: Load Torrent video or movies. Download the free Torrent Video Converter. Launch it on your computer. Click “File” menu and select “Add Video/Audio” or click the “Add Video” button on the top tool bar to import Torrent video or movies into the program. 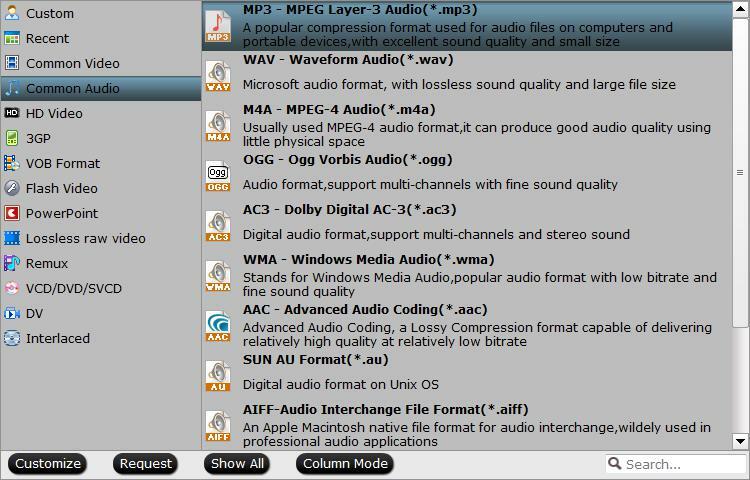 Clicking the Format bar, from its drop-down list, choose MP3 audio file format by following “MP3 – MPEG Layer-3 Audio(*.mp3)” under “Common Audio” main category. If you wish to convert Torrent video with 5.1 surround sound, you can choose to output “AC3 – Dolby Digital AC-3(*.mp3)” audio format. Step 3: Trim or merge MP3 audio. Hit right-bottom conversion button to start Torrent video to MP3 audio free conversion process. When the conversion is done, you will have no limitation to enjoy extracted Torrent music or song on any portable music players you like. How to Convert Torrent to MP4? How to Download and Play Torrent Files?